To make sure you get the best deal we'll show you great prices from all of our drivers, including Victor Removals, if they're available on the day of your move. Have a question for Victor Removals? No problem, send them a message and they'll email you back as soon as possible. If you have a more general question you might find it answered in the FAQ, or you always contact one of our brilliant customer service team. * Victor Removals won't be able to see your email address. Highly recommend. On time, nice, polite, friendly. The move was done really efficiently and just very hassle-free. Arrived a little late but gave warning in good time and that was no problem. Both guys were very friendly and respectful and got everything done in good time. Really nice, good-natured, polite and helpful chaps - highly recommend. Victor was superb on all fronts. Really friendly helpful man. Would highly recommend this man to anyone. Communication great arrived early phoned to let me know. A real star . Very happy lady tonight sitting on my sofas. Very helpful and accomadating even when I needed to request a later time. Packed everything really well and carefully. Great service, very smooth and well priced. Thanks a lot. Excellent service, especially when first booking I made an error with the time (I was thinking of a 12 hour clock instead of a 24 hr clock). The driver suspected that I'd made a mistake and sensibly queried the collection time - well done him! All was swiftly put right. The very friendly and pleasant driver helped to get my piece of furniture upstairs (as I'd requested) swiftly and carefully. Perfect. Thank you. Highly recommended. I m happy with the service. Great experience. Quick loading and unloading. The move finished much quicker than I had planned. Victor was very helpful and careful with my items. Would highly recommend him. Victor was punctual, polite and careful with the items. I'd recommend him. Great service, very helpful driver, happy to use the service again. He was very friendly and helpful. He was 20 min late but he rang to inform me and he had to drive down Putney High Street on a day there was a football match on so I think he did very well considering! I would definitely be happy to ask for this driver again. My original driver had his window smashed so I had a replacement who could only get to me half an hour later. He did call me though and tell me this which was fine. 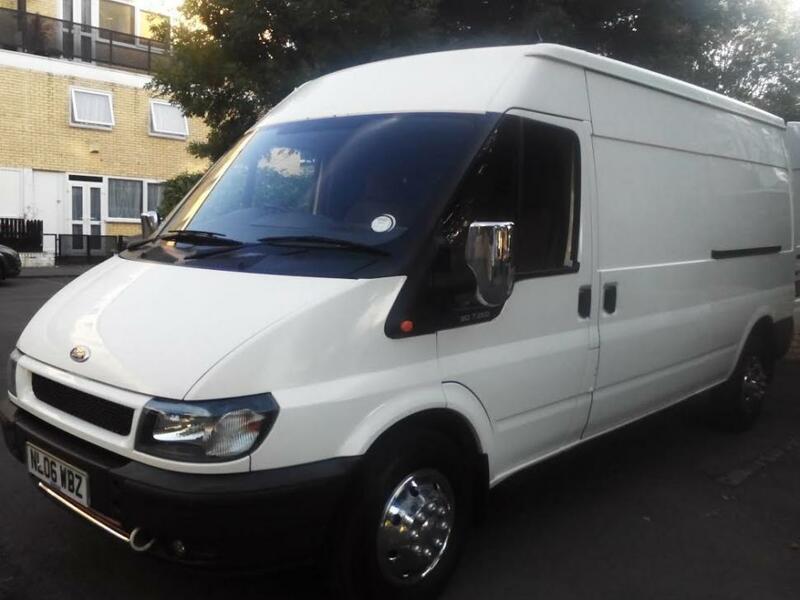 CMV response: Unlike other websites, we guarantee you a van for your move so even if your original driver is unable to attend your booking for any reason, we will always send a replacement van so you are never let down on the day. In addition, the time you have booked for only begins from when the replacement driver reaches you. Our driver Victor was fantastic - he made our move very easy and an enjoyable experience. Will be recommending him! Very efficient, considerate and helpful. Helped make a stressful move into quite a fun day! Thank you so much - totally recommend. Driver arrived 1.5h late, could have helped us with moving the stuff to make up for that, but didn't do that. He was polite and helpful, and flexible with arrival time, which suited me very well. Made the move into no hassle at all! Victor was very polite and very efficient as was his helper Jock and I wouldn't hesitate to recommend him or use him again. Victor was a really helpful and courteous guy. He worked efficiently and speedily throughout the evening. We were delayed slightly and victor waited patiently. Thank you! Victor called night before to confirm timings, arrived on time and the move was smooth. Would recommend. Victor and Felix were great, went the extra mile doing an additinal run and dropping off stuff at a charity shop for us. Victor was great and he made my move from North London to South East London much easier than I thought it would be! He was friendly, respectful and really helpful. We did it all in 2 hours. I recommend his service and will use him again. Victor and Emmanuel were fantastic - we could not have asked for better movers. They were both very careful, hard working and efficient. We will be recommending them to friends. The guys were amazing - this is a top service - thanks so much. The move was far more complicated than I had realised and this was dealt with brilliantly, efficiently and with good humour! Cannot recommend them enough. They were very helpful. Highly recommended! My driver wasn't Greg. Victor came instead with a helper and was everything perfect! They were very friendly and efficient! Very swift and efficient move from London to Cambridge. Victor is lovely, polite and friendly. Would definitely use again. Thank you! The lads worked hard to get everything loaded and took enough care with our gear. I'd use again. Victor was on time and efficient. Victor runs a great service. Above all, the care and attention when moving furniture for us was highly appreciated; something not easy to get elsewhere for this price point. We had some difficult items to transport and these were taken care of with ease. Excellent service. The driver was exactly on time and the interior of the van was clean which was important given we were moving a bed mattress. Hassle free move with a smiling man with a van. Victor is clearly experienced in helping people move. He offered good advice as we emptied the house, loaded the goods in the van carefully , made sure nothing would move in transit, drove carefully to the destination and helped unload quickly and put the goods where needed. Calm, polite and unhurried but purposeful throughout. Pleasure to work with. Victor was very helpful. I fully recommend him. The driver was 30 minutes late but he was very kind to let me know he would be running late....which I appreciated. Driver was very helpful and kind and if needed in the future I will make use of his service again. Very happy , Job Done !!! Victor was on time very pleasant and hard working , would book him again next time. Kept disappearing to go on his phone. Complained about how much stuff I had. Left without saying goodbye.